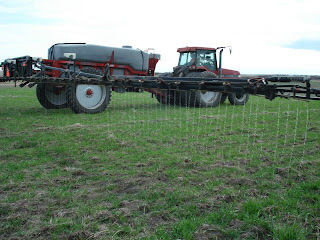 Above: Robbie, seated in our Case IH 8930 tractor is applying Liquid Nitrogen in N-rich strips on winter wheat with our Redball sprayer. Liquid nitrogen enriches the soil to increase yield. Only the best parts of a field, unharmed by winter-kill, recieve the application. It is a reading of how well the field could perform if it was completely fertilized with this product. Why is it called an N-rich strip? N-rich is a term referring to the nitrogen rich area created by the spray. Above: A close up view of the action. The width of the sprayer is 80 feet. 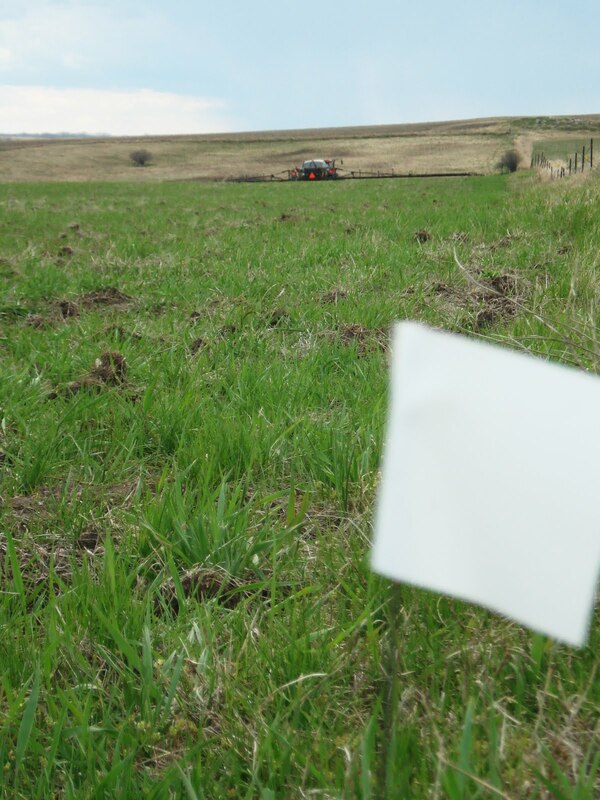 We mark the edges of the strip with flags at the start of the application. 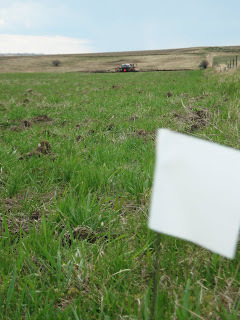 Above: The flag in the foreground lines up with the tip of the sprayer in the background.